I participated in an Influencer Activation on behalf of Influence Central for Sunshine Sweet Corn from Florida. It's that time of year again, time to start grilling! What I really mean is, let's grill allofthethings. I am seriously addicted to my grill during the warmer months. Lucky for me, my sons surprised with a brand new grill for Mother's Day! They even gave it to me early because they knew I wanted to grill for my mama on Mother's Day. Aren't they the sweetest? 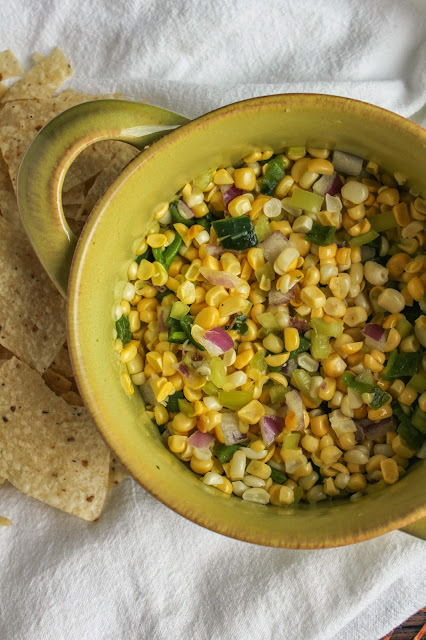 In addition to big, juicy burgers, pasta salad, tomato bruschetta, and fruit, I made an amazing sweet corn salsa for our dinner. It's sweet, it's a little spicy, and it's a cinch to make. Grilling the poblano and corn is the hardest part, which isn't even hard! Chop everything up and add it to a pretty bowl and your salsa is done. My whole family gobbled it up too, so you may want to make a double batch. Or hide some in the back of the frig for a late night snack. Sunshine Sweet Corn from Florida is in season now and will give a little zing to your spring meals! 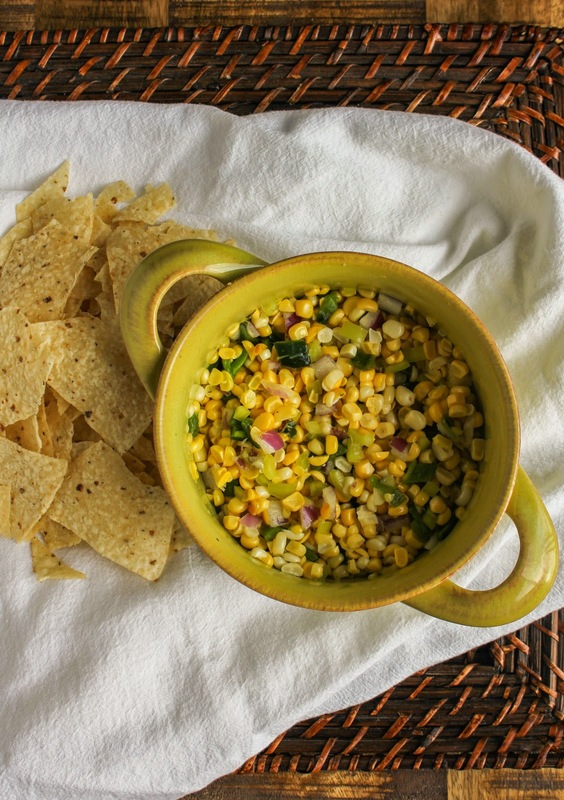 Whether in a salad, this salsa, or even straight off the cob, Sunshine Sweet Corn adds a perfect balance of sweetness to our meals that the whole family will love. And what better activity for your little helpers than husking corn? Be sure to share your adorable photos on Instagram and Twitter with the hashtag #HuskYeah. See how beautiful this fresh corn is? Ooh, ooh, there's something else! Influence Central is hosting a contest for Sunshine Sweet Corn from Florida! You could win one of five $100 Williams -Sonoma Grill Sets. How awesome is that? The contest is open now and will close on May 22nd. You can enter to win via the giveaway tool at the end of this post! Now, let's make some salsa! Preheat a grill, or a grill pan, over medium high heat. Brush the poblano halves with one teaspoon of the olive oil and grill, skin-side down, until charred, about 5 minutes. Allow the pepper to cool slightly, then peel and finely chop. Brush the two ears of corn with another teaspoon of oil and grill until slightly browned on all sides, about 10 minutes. Once the corn is cool enough to handle, cut the kernels from the cobs. Mix the poblano, corn, poblano, anaheim pepper, cilantro and onion in a bowl. Stir in the remaining teaspoon of olive oil, the lime juice, sugar and a pinch of salt. Taste for seasoning, and add more salt if needed. Serve with tortilla chips. 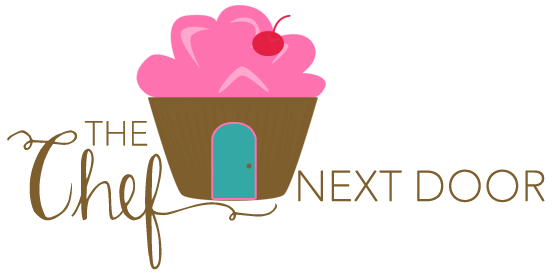 on the Sunshine Sweet Corn Recipe Page!